London Waste Management Services | JunkClear Ltd.
JunkClear has been providing waste management services to businesses and domestic properties in London since 2006. From man and van services to wait and load, we're able to offer a highly competitive quote paired with fast waste clearance times. It couldn't be easier to get in touch. Simply fill out the form below and we'll give you a call back. Why use JunkClear for your London rubbish removal? JunkClear is an expert waste disposal firm offering a reliable and competitively-priced service for businesses and homes across London. Our fully-trained staff remove rubbish responsibly and with the minimum of fuss. We are committed to protecting the environment - over 95% of all the waste we clear is recycled or reused. Call JunkClear for a competitive quote and we'll arrange a day for your rubbish to be collected. We offer same-day or next-day collection wherever possible. Where access is needed, we ensure we can get to your waste on the day of collection. Sit back as we load your rubbish, leaving the area clean and tidy. Perhaps you're on a mission to de-clutter a family home. Maybe you want to refit a shop or restaurant. Whatever your project, you'll need to find a way to dispose of the rubbish that's bound to be created. This can seem a daunting task. Large amounts of waste can't be disposed of in your usual weekly or fortnightly rubbish collections, and hiring a skip in London can be expensive and time consuming, especially if you have to apply for a Controlled Parking Zone (CPZ) suspension. So what are the alternative options to skip hire? Read our three top tips below! Find your local tip or recycling centre. If you're not sure where your nearest council-run dump is located, get in touch with your local London borough. Check out the addresses of tips in neighbouring boroughs, as these may actually be closer to you. Look for the 'Services' area of your local council website and you should find a 'Recycling and Waste' page which will detail all the information you need. Give stuff away. What's junk to you might be joy to someone else! It's possible to recycle domestic and business items using websites such as The Freecycle Network. There are groups set up for different areas of London, so it's simple to connect with local people and keep road miles down to a minimum, making this a perfect eco-friendly solution. Call a waste management expert to remove your rubbish. When you use a licensed and accredited company such as JunkClear, you're guaranteed a fast response and the peace of mind of knowing that your waste will be disposed of legally and responsibly. Whether you require a same day or next day collection, London wait and load service or skip bag hire please get in touch with JunkClear to find out more. Whatever your question, we can help. Please get in touch either by calling us on 01293 538555 or via the contact form below. Our main service area covers London and surrounding counties including Surrey, West Sussex, East Sussex, Kent, Hampshire, Berkshire, Buckinghamshire, Hertfordshire and Essex. We are happy to travel longer distances, so please don't hesitate to get in touch with Junkclear for a competitive quote wherever you are in the UK. HAVE A BIG PROJECT OUTSIDE OF THIS AREA? We travel nationwide for events and large commercial projects. We work closely with industry bodies to ensure safe practices, environmental responsibility and legal compliance. JunkClear is fully insured and meets all government regulations for waste removal. Working in partnership with local authorities, it's our mission to help improve recycling rates for businesses and residents. We aim for zero landfill through responsible waste removal across London and the South East. Q1 I can't have a skip on the road – can you help? Definitely. Our wait and load service is the perfect solution to traffic and parking issues in busy London boroughs. You might also want to consider our skip bag service - each bag holds up to one tonne of waste. We deliver the bags to your London address and collect them once they're filled. Q2 Do you offer an out of hours service? Yes, we can respond 24/7. Whether you need us to clear overflowing bins, fly-tipped waste or additional rubbish over a holiday period, don't hesitate to get in touch for a competitive quote. Working flexible hours also enables us to overcome many parking restrictions on busy London streets. For example, we can work overnight for shop fitting projects, or garbage collections that must be completed outside of peak times. Q3 Do your fees include the London congestion charge and any parking costs? Yes. Our fair pricing policy means that all quotes include any charges incurred as part of the job. Q4 What areas do you cover? 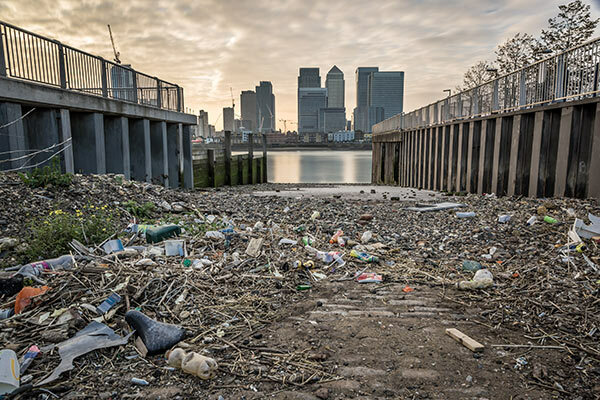 Our waste management services cover every area of London, from inner London boroughs to Hillingdon in the west, Havering in the east, Croydon in the south and Enfield in the north. Wherever you work or live in the capital, we can provide a speedy response to your rubbish removal requirements. Q5 What payment methods do you accept? Debit card, credit card or BACS is preferred.